From outdoor mountain coasters and tubing hills to black diamond runs and half pipes, the East Coast offers a plethora of ski resorts for families. We”ve narrowed down the best ski resorts on the East Coast, with kids’ programming and lodging in mind. Located in Bridgton, Maine, Shawnee Peak is just over one hour from Portland. This East Coast family ski resort features 239 skiable acres and 40 trails that span every skill level, making it a great option for families. Upon arriving, families can seek out the trails that meet their needs -- 75 percent of the trails are geared toward beginners and intermediate skiers and snowboarders; the rest is for those with advanced skills. 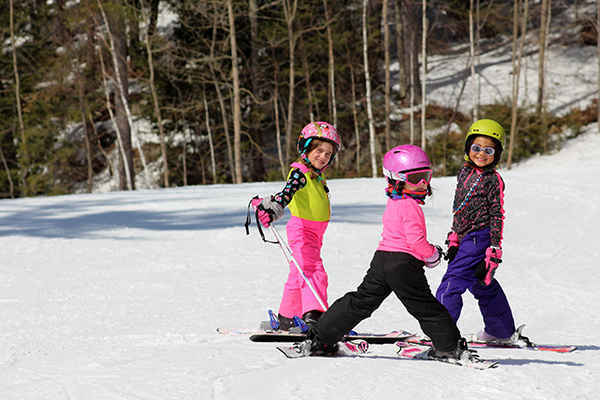 Kids between ages 4 and 12 can participate in one of three clinics -- SkiWee Skiers, Junior Mountaineer Skiers or MiniRider Snow Boarders -- and will be taught everything they need to know about their time on the mountain. 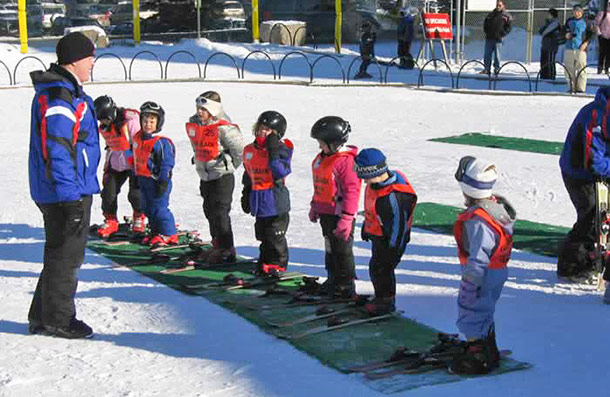 For little ones who aren"t ready to hit the slopes, Shawnee offers programs for children between 3 months and 6 years. 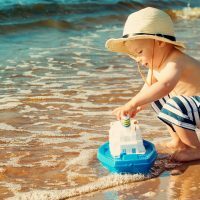 Fun activities for kids include movies, snow play, and arts and crafts. Parents and teens will also enjoy night rides, with 19 trails lit for evenings on the slopes, as well as the freestyle terrain park. Fuel up at Blizzard"s Pub, the Base Lodge Cafeteria or the East Lodge, the last of which offers a wine bar for parents. When asked about the ultimate ski resort on the East Coast (or anywhere, for that matter), most families will tell you it's Smugglers' Notch, and with good reason. This East Coast ski resort, located in Vermont, features three interconnected mountains of terrain for all abilities. Skiers ride 78 trails; 19 percent of them are best for beginners, and 50 percent of them accommodate the intermediate skier. 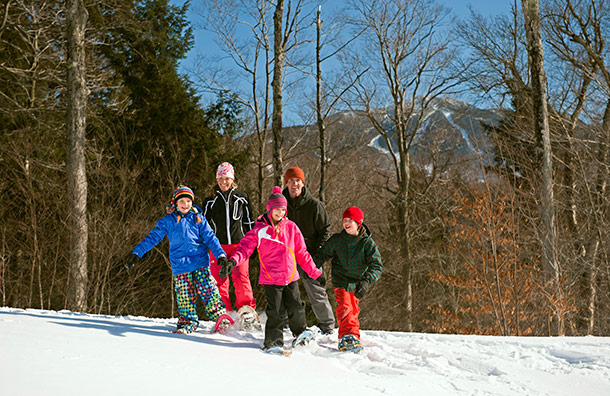 Smugglers' Notch offers highly-rated programs for new skiers and snowboarders of all ages. 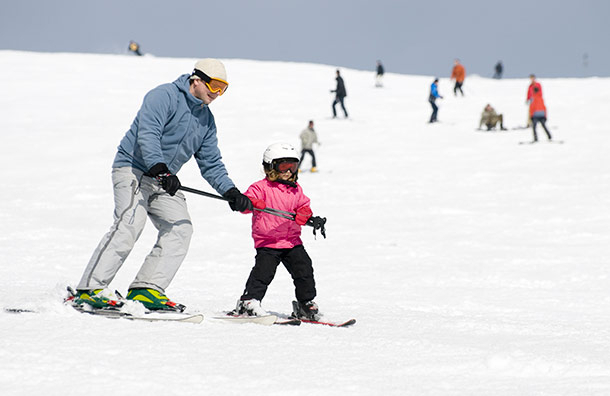 Children as young as 2.5 years can learn to ski, and those at least 3 years of age can try snowboarding. And little ones who aren't ready for the slopes can enjoy their days in the Treasures Child Care Center. Located in the Poconos and less than two hours from New York City, Camelback Mountain offers families 34 trails for skiing and snowboarding, as well as terrain parks, tubing runs and a mountain coaster for kids and teens. The majority of the trails are for beginners and intermediate riders and all are well-lit for evenings on the mountain. 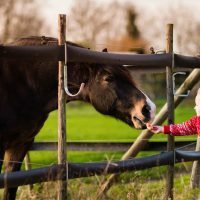 Half- and full-day lesson packages are available for children and adults, and for little ones who can"t stand on a board yet, the kids" club activity center offers supervised indoor activities. When you"ve worked up an appetite, be sure to stop at one of the nine eateries on the mountain, too. It's all about ease of access at Vermont's Okemo Mountain. The resort's trails, lodging, restaurants and other facilities are within walking or short driving distance of each other. Kids are invited to learn how to ski in three programs, divided by age group: Little Dippers (age 3), Snow Stars (ages 4 to 6) and Mountain Explorers (ages 7 to 14); childcare services are available for children ages 6 months to 4 years. Okemo Mountain also offers a mountain coaster and kids' snowmobile tours! When it's time for a break, head back to your hotel or vacation rental for lunch, or check out one of four restaurants open in the winter months. Gore Mountain in North Creek, New York, offers families 107 trails, 2,537 vertical feet of mountain and 15 lifts to get you to the top in no time. This East Coast ski resort, located in the Adirondacks, also offers a Snow Sports School for both beginners and those looking to improve their skills on the slopes. Kids between ages 4 and 12 can join the Mountain Adventures group for daily lessons, which vary in length and may include lunch with new friends and instructors. And for the little ones who aren"t ready to hit the trails -- 6 months to 6 years -- the Bear Cub Den Daycare center offers a safe and playful environment. When it's time for a break from the slopes, take the shuttle to the downtown area to check out the shops and restaurants. Mount Washington Resort is New Hampshire's largest ski area, with 102 trails and glades and four terrain parks on 464 acres; that's not why we love it though. The resort makes our list because of its exceptional offerings for kids. 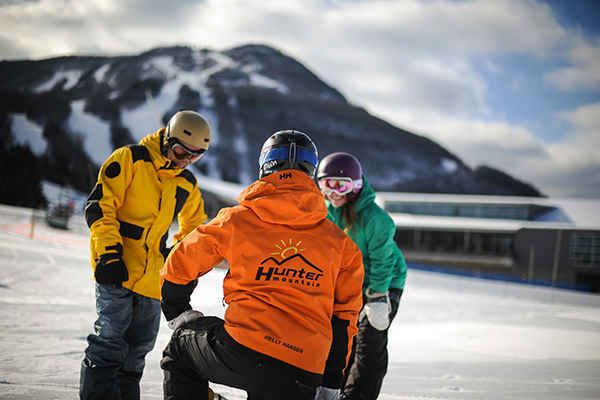 First, there are the programs offered at Hobbits Ski and Snowboard School, where kids ages 4 to 12 learn to ski, and those ages 6 to 12 learn to snowboard. Then there are the Kids' Club day and evening programs, offered on Fridays and Saturdays in the winter. There's also an outdoor fire pit, playground, skating, evening movies, daily activities (arts and crafts, storytelling and games) and indoor and outdoor heated pools at the Omni Mount Washington Resort. As if that's not enough, the resort also has a Kids Snowmobile Park! Other activities include zip-lining, sleigh rides, dogsledding, snowshoeing, guided tours and a slope-side climbing wall. Phew, we need a break at the onsite spa after this! 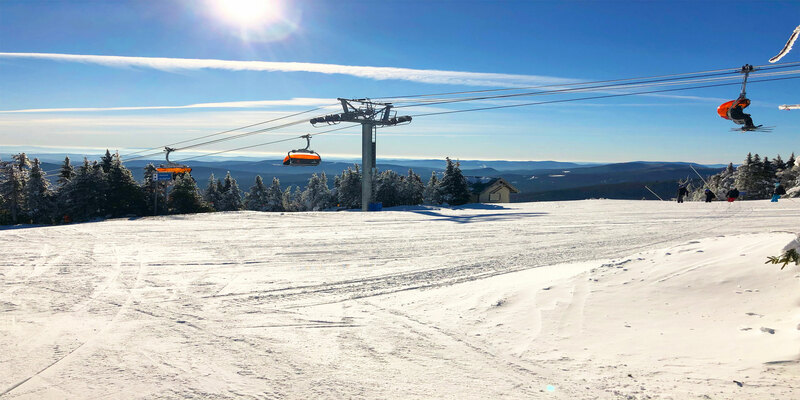 With more than 300 miles of skiable terrain across two mountains, Attitash Mountain has more than enough to keep you busy on the slopes this season. 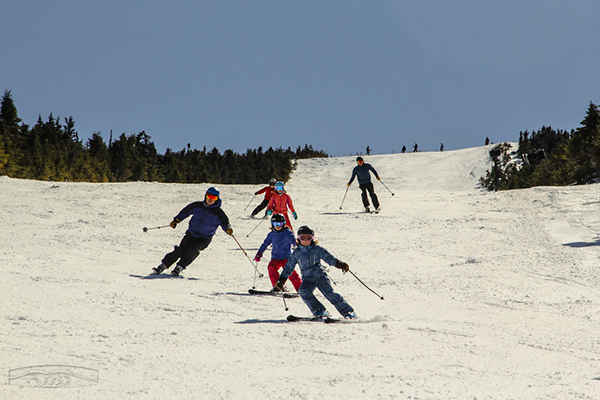 Located in Bartlet, New Hampshire, in the White Mountains region, Attitash offers families 67 trails with ski schools for kids as young as 4 years, plus daycare for infants and toddlers as young as 6 months. Children"s programs range from half-day programs with time on the slopes and in the lodge, to full-day programs that have your kids feeling like pros by dinner. Terrain parks are great for teens, too, and you"ll most likely find them meeting new friends at the Abenaki Terrain Park Yurt near the base lodge daily. Enjoy tubing as a family and don"t miss a ride on the Nor"Easter Mountain Coaster! With low rates, high elevations and small instructional classes, Saddleback Mountain is a great option for families with skiers and snowboarders of all ages. Located in Rangeley, Maine, this ski resort on the East Coast is just over two hours from Portland. 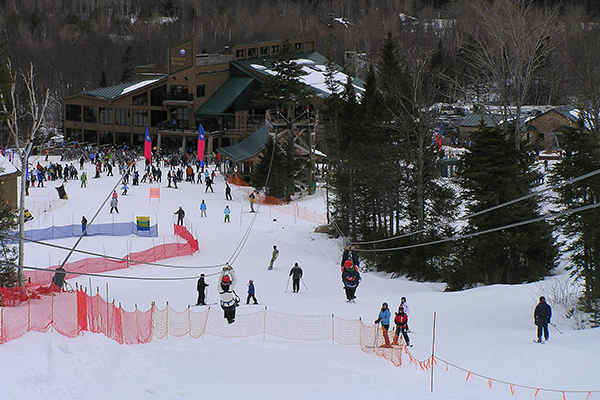 The mountain has 220 skiable acres, 66 trails and three terrain parks. Kids between 3 and 6 years will always have one-on-one instruction in the ski schools or can join their parents and siblings in a Family Lesson, for skiers or snowboarders. Dual lessons are offered, too, where kids can learn both ways down the mountain! And for those too young to participate, the Day Care is open to infants and toddlers as young as 6 months, too. Hunter Mountain earned its claim to fame in 1967, when it became the world's first ski resort with summit-to-base snowmaking. And sure, we love its awesome snow, but what we love more is its extensive accommodations for families, especially those who have new skiers and snowboarders in tow. 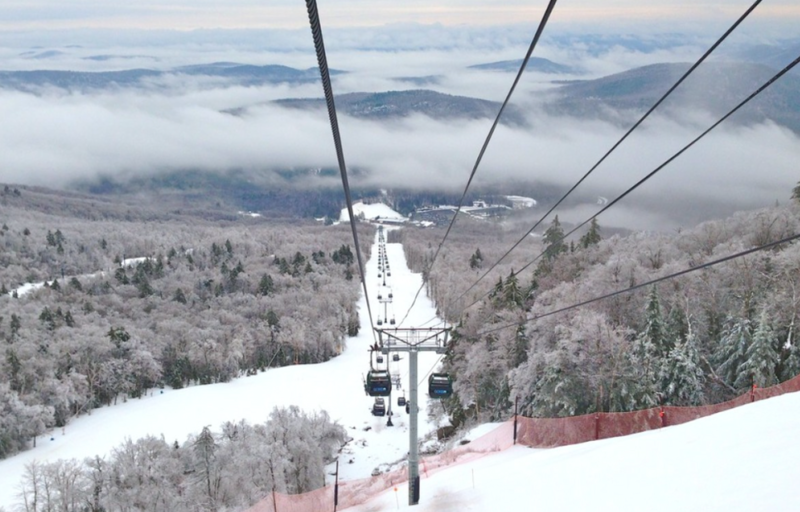 The mountain, located in the Northern Catskills, has 58 trails, 10 lifts and a 1,600-foot drop. Rookies utilize several specialized programs and camps at the Learning Center, housed in its very own building. Kids between 4 and 12 can learn to ski and ride before hitting the slopes while little ones, ages 6 months to 6 years, spend time in PlayCare, located beneath the Learning Center. Other activities at Hunter Mountain include snowtubing and zip-lining. Hungry families have several dining options, including Family Vacation Critic favorite, Van Winkle's Restaurant. Windham Mountain is often underrated, but after a visit to the resort, we think it's worthy of our list of the best East Coast ski resorts! The mountain keeps eight trails, five lifts and three parks open at night, when skiers and boarders enjoy a unique experience on the slopes, which provide breathtaking views of the Northern Catskills region. Altogether, Windham Mountain provides 49 trails on 269 skiable acres, with five terrain parks and 10 lifts. Windham Mountain provides ski lessons for everyone in your family, from your toddler to your grandpa; for those over 50, Windham Mountain has a program that focuses on improving skiing skills and enjoyment. Children ages 2 to 7 hang out at The Children's Learning Center, where they play indoor games, make crafts and more. That's not all. Windham Mountain also offers an Adventure Park, where families find a slew of four-season activities, including a Kids Snowmobile Park, snowtubing, ice-skating rink, Euro Bungy and a Big Air Bag, which allows skiers and riders to practice their jumps.